The Steinem Initiative is experimenting with women's and gender history as an organizing tool to advance movements for social justice. Rooted in respect for women as experts on their own lives, the Initiative recognizes women of color, low-income women, and sexual minorities as visionaries and leaders in improving the status of all women. By lifting up their little-known stories, weaving new narratives, and honoring the depth, duration and traditions of women's activism, the Initiative aims to expand the vision, deepen the analysis, strengthen the strategy and expand the base of women's movements. The primary goal of the initiative is to seed and test the idea that women's and gender history is a valuable but underutilized organizing tool with potential to elevate gender justice within other social justice movements. It is led by co-directors Joyce Follett and Sara Gould, and is affiliated with the Jandon Center for Community Engagement, working in close partnership with the Sophia Smith Collection. To learn more about The Steinem Initiative, please send an email to steineminitiative@smith.edu. 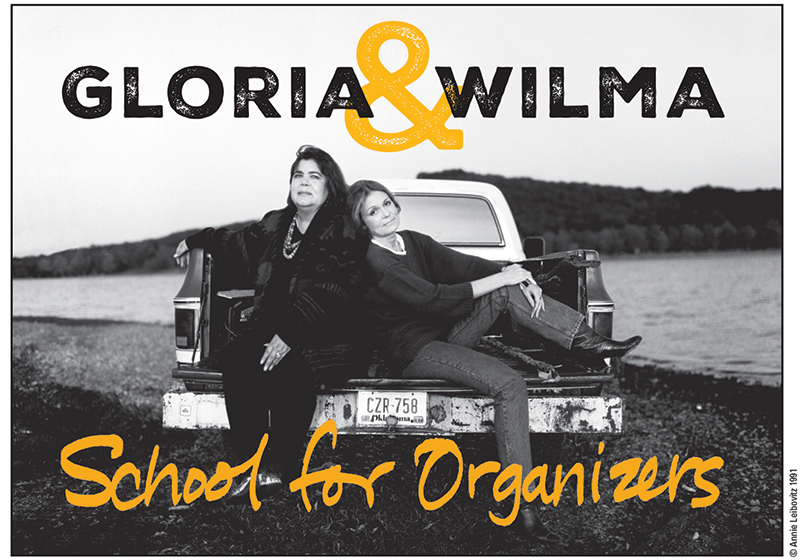 The Gloria and Wilma School for Organizers convenes activists to advance specific history-into-action projects, explore the origins of their movements, and share their expertise with each other. The School reflects the vision of feminist writer and organizer Gloria Steinem '56 and the late Wilma Mankiller, a champion of indigenous peoples' rights and the first woman elected principal chief of the Cherokee Nation. Gloria and Wilma shared a dream of a place or program that trains women in organizing and prepares them to promote social change "as if everyone mattered." At the second school in 2016, 20 activists shared their experiences as women organizers and engaged in wide-ranging conversations about the importance of gender to their analysis and practice. At the pilot school in 2015, more than 50 activists from reproductive justice, economic justice, and indigenous sovereignty movements explored Sophia Smith Collection archival materials relevant to their work, met by region to consider cross-issue collaborations, and imagined ways of incorporating women's and gender history into their organizing efforts. History-into-action partnerships of scholars and activists are integrating lessons from women's past into current issue campaigns and strategy development. The initiative is experimenting with methods of incorporating historical knowledge, documentation methods, and archival evidenced of our foremothers' lives into today's movement campaigns and organizational strategies. Current partnerships focus on: reproductive justice, mass incarceration, and economic justice. In addition, the Initiative is developing Save Our Stories (SOS), a toolkit/workshop that equips activists to document their own experience, record women's stories, and preserve their organization's history. The Steinem Initiative will expand activists' access to the Sophia Smith Collection, an unparalleled women's history archive at Smith College that holds the personal papers and organization records—including diaries, photos, letters, oral histories, meeting minutes, drafts of speeches, grant proposals and more—of women engaged in social change over generations, from antislavery and socialism to present-day struggles involving welfare rights and sexual autonomy. 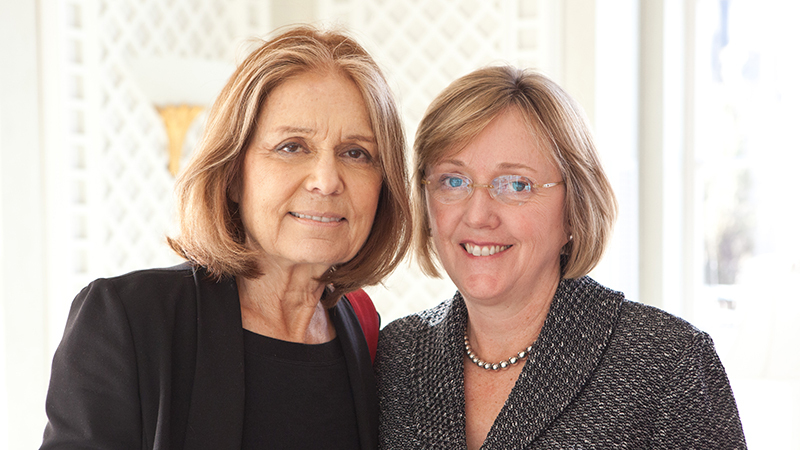 Gloria Steinem '56 has contributed her own papers as part of the collection. Access to and exploration of these assets will help today's women activists apply lessons learned to their current campaigns. It will also arm them with valuable oral histories and tools to demonstrate the evolution of social movements, allowing today's leaders to share the remarkable stories of earlier women leaders of all races, classes and communities. This deep connection to history will help promote humanities projects that enrich public memory. The Public History Program of The Steinem Initiative will involve media and other projects undertaken from July 1, 2015 through June 30, 2017. Several Smith professors are collaborating with activist organizations and devising innovative pedagogy that aligns student learning objectives and course outcomes with the organizations' goals. For example, over three semesters, three classes—in history, women's and gender studies, and Spanish and Portuguese—are partnering with Matahari, a Boston domestic worker and immigrant rights organization. Matahari is utilizing oral histories of employers and workers and integrating knowledge of the history of domestic worker organizing into its multi-lingual campaign for full implementation of the 2014 Massachusetts Domestic Workers Bill of Rights. Another collaboration is developing with the Prison Birth Project, a Massachusetts organization focused on reproductive justice. The group provides support, advocacy and resources to people at the intersection of the criminal justice system and parenthood. The Prison Birth Project leaders will work with faculty and students to produce curriculum materials for currently or formerly incarcerated women. Materials will trace changes over time in public opinion and public policy that explain the race, class and gender dimensions of criminalization and justice in the U.S.
Each year, the Initiative hosts an activist who spends a few weeks on campus. During her stay, she has opportunities to pursue a small project of her own, consult with Smith staff and faculty, visit classes, offer a public presentation, and work with Initiative staff. In the spring of 2016, artist, librarian and reproductive justice leader Bekezela Mguni teamed with students and Neilson Library staff to create a "pop-up" reading room on black lesbian literature, which transformed the entry to Smith's main library into a lively gathering and discussion space. Bekezela also offered a printmaking workshop using images from the Sophia Smith Collection and assisted in the design and implementation of the Initiative's SOS: Save Our Stories workshop. The initiative draws on Smith's rich repository of papers, records, oral histories, photographs, periodicals and other materials that document women's experiences and ideas. A precollege program for high school girls uncovers the stories of women who have changed the course of history through activism, mobilization, reform and rebellion. The program for the study of women and gender examines gender, race, class and sexuality as important and simultaneous aspects of social worlds and human lives.